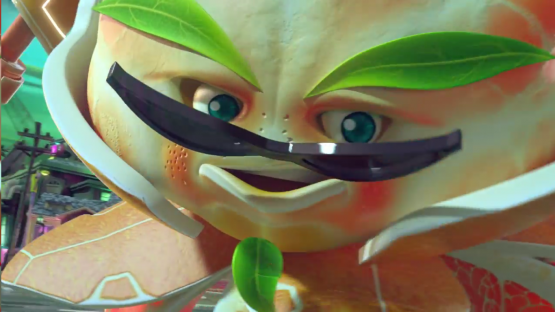 Plants vs Zombies: Garden Warfare 2, coming in Spring 2016, seems to be an amped up version of the first game, with much of “if it isn’t broken, don’t fix it” take on Garden Warfare, and more fun ways to play than before. For example, character progress and unlocks will carry over except for cosmetic items. The improvement upon that is the addition of six new characters — three plants and three zombies. 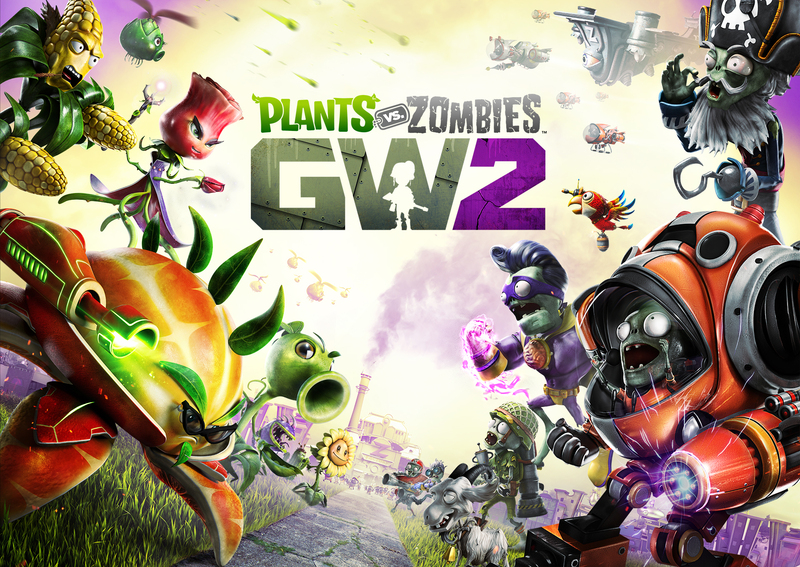 In all previous PvZ games, plants have defended against waves of zombies, like in Garden Ops. In PvZ:GW2, for the first time ever, zombies are defending their tombstone against hoards of plants. Plants have gone on the offensive, with Crazy Dave leading them, albeit befuddlingly. There is still multiplayer and local co-op, along with the new ability to play online WITH split-screen. This adds much more social fun than the last PvZ, which did not support logging in to another account on the console. There is no PlayStation Plus subscription required for the solo or split-screen modes either, which is a great option for parents who don’t want to buy an online subscription for their kids to play an E rated shooter from a series they love. You can play any game mode with A.I. instead of online players, so much of the game can be experienced without the PlayStation Plus subscription this time around. From what I have heard, there will be a really streamlined lobby system that will enable you to play with or against your friends, privately or publicly. It also seems like private matches with your friends will be customizable for more crazy fun, albeit without earning experience from such customization craziness. I also noticed in the theater presentation there was a bit of a trend concerning time travel in the new character’s backstories and in the map themes. The maps do seem to be even more colorful and playful, and I’m sure there will be many Easter eggs and creative, witty things scattered throughout, as evidenced at least by “The Cact of Us” game poster I saw during the theater presentation. There will also be a new space map with different gameplay mechanics–perhaps space suits and/or altered gravity? A huge exciting point about PvZ:GW2 that should not go unnoticed is the promise by Popcap to provide free content like they have with PvZ before. I personally loved the previous free additions to that game, and for them to promise free content support after this next game is released is interesting coming from a larger publisher that has been said to “nickel and dime” consumers in the past. I got to play one local multiplayer match in which I was the new imp character. That’s right, you get to play as one of the silliest non-playable characters from the previous game. That ridiculous zombie imp known for launching into danger with a giggle. The imp also has his z-mech which he can call down. It gives him much more health than his usual 75, but slows him down considerably more than his usual sprint. He can stomp, shoot missiles, or self destruct as seen in the trailer. There is also Captain Deadbeard, who has a parrot that remotely controlled, similar to the robot drone or the garlic drone from the previous PvZ. He can also hide in his barrel, walking around a’la Metal Gear. Walk around protected from most damage, or sneak into your enemies midst and explode the barrel while safely rocketing up and out of the way. If you’re into mechanical bulls, try his Cannon Rodeo ability, which is exactly like it sounds. Super Brainz thinks he is a super villain, and has more melee-type attacks, but I didn’t get to see him in action as I never really came upon my fellow teammate to watch them during my demo. The new plant characters were barely touched upon during the theater presentation but not shown in the Graveyard Ops demo. Citron — a time traveling bounty hunter — is a sort of tactical looking citrus guy, while Kernel Korn is more of a front-line soldier, and Rose is a sorceress who can turn her enemies into goats — and yes, you can play as those goats. Overall, the game looked very well rounded, updated, and even more fun than the last to keep up with the capabilities of next-gen gaming. I am excited to get my hands on Plants vs Zombies Garden Warfare 2 when it finally comes out, and will be looking for any more news or updates to share as they come along.